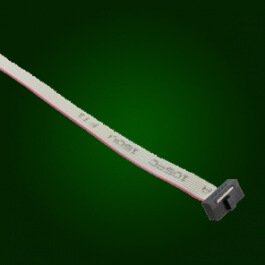 This 12" long cable contains female 2x5 pin data connections on either end to help facilitate Talon SRX external inputs. This 12" long cable contains female 2x5 pin data connections on either end to help facilitate Talon SRX external inputs. It can be used to connect the Talon SRX to feedback devices such as potentiometers, limit switches, analog & quadrature encoders as well as providing other future expansion options beyond what is currently supported.